Everything about Tough Mudder implies strength, both physical and mental. Training for and competing on race day requires courage and determination. Even signing up takes guts –especially when it will be your first time participating in the event. This year, Miron has a number of first-timers on its Tough Mudder team. We were curious about why a person would willingly sign up for such an intimidating challenge, so we asked Mudder newbies Tara Hernandez, Mary Cummings, and Craig Bieri to share their motivations. 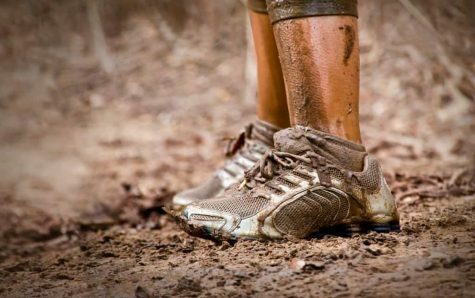 The decision to participate in this year’s Tough Mudder wasn’t actually a difficult one for the three first-timers; they were already looking for new challenges and workout motivations. “I needed a new training program to help me stay motivated and focused on my weight loss goals,” said Hernandez. “Brenda [Schanhofer, Miron’s Wellness Coordinator] made me do it,” joked Bieri, who went on to add that he wanted something to train for following his “rugby days.” Cummings had competed in sprint triathlons the past three summers, but decided she wanted to try something new this year. “It seemed like the perfect opportunity to train for something different and challenging while also getting to know my co-workers better in the process,” she said. Hernandez, Cummings, and Bieri have all started training for race day. Each has his or her own workout regimen including traditional cardio and weight training as well as plyometric and high intensity interval training (HIIT) programs. Having to complete these workouts during the summer months has been tough, but keeping motivated hasn’t been too difficult. “I am motivated by my scale and the thought of not wanting to embarrass myself in front of co-workers,” said Hernandez. Join us in wishing our Mudder newbies luck and stay tuned for more Mirun-ner stories as we continue to follow our Tough Mudder team to the finish line.